Chronicles of Ancient Darkness carries you back to a world steeped in natural magic and elemental terror. 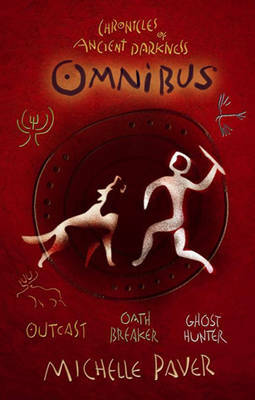 In OUTCAST, Torak's dreadful secret is revealed and he is cast out from the clans. Hunted and on the run, he then uncover a deception too awful to contemplate. OATH BREAKER sees Torak becoming the hunter as he swears to avenge the killing of one of his closest friends. To fulfil his oath he must brave the hidden valleys of the Deep Forest, where he will discover the true cost of revenge. And in the epic, prize-winning finale to the series, GHOST HUNTER, Torak must defy demons and tokoroths, and make the most heart-rending choice of all in his ultimate battle against the Soul-Eaters. Michelle Paver is a British novelist and children's writer, best known for her fantasy series Chronicles of Ancient Darkness, set in pre-agricultural Stone Age Europe.